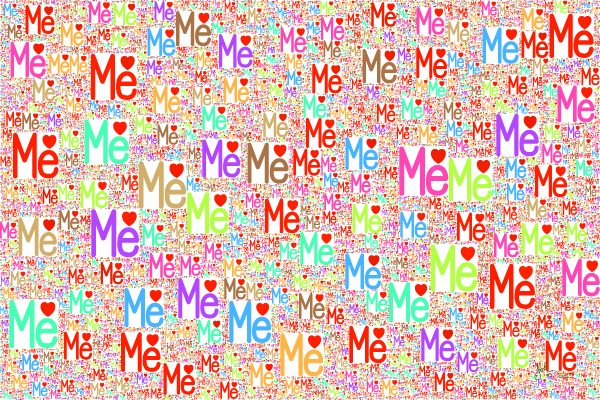 This image shows how the basic pattern appears when each square contains the word "Me" and a heart. This is the perfect art for a leading-rank egotist or narcissist, with the basic message "I love me". It illustrates how this fractal pattern can be used decoratively.